1. RIGHT TO REGISTER COAT OF ARMS AT LORD LYON. About one mile north of Dingwall, on minor roads west of the A862. It stands on the south side of Tulloch Hill with views to the south overlooking the Cromarty Firth. Tulloch was a barony of the Bains. The castle was probably built by Duncan Bain after he was granted a charter of lands here in 1541. They lived here until 1760, when it was passed to the Davidsons. The Davidsons obtained Tulloch by marrying the heiress Jean Bain in 1760. The Davidsons lived here into the 20th century when the place became an academy. The nearby Moot Hill is where the Bains dispensed Justice. The Gallows Hill is where sentences were administered. The nucleus of this great house is a strong, simple 16th century keep. Continuous occupation has altered the appearance of antiquity. A circular stair tower rises on the north-west angle. The parapet and corbelling of the keep are modern, as is the "castellated" cap-house that provides access from the stair-tower to the wall head parapet. There would have been a gabled garret within the original parapet wall-walk. The windows in the keep have been enlarged, but the stair-tower windows are original. Several gunloops survive, others have been blocked. The basement course is massive. One external corner of the keep has been chamfered up to first floor level. One shot hole penetrates the chamfer from the basement. A large gabled structure was added to the east and north faces in the 17th century. A range was added to the tower in 1920. The basement consists of vaulted chambers. There are many shot-hole apertures at this level. The first floor hall retains its great fireplace, but many windows have been enlarged and changed. There are 17th century plaster ceilings in the extension. The apartment in the east wing has a particularly fine ceiling, and has excellent pine panelling and painted murals. Before the 1300s the most powerful family Scotland had ever known were the Comyns, dominating the Grampians, Buchan and Moray. It was prudent for many families to associate themselves with the Comyns for protection and prosperity. With their policies of pure self-interest they were the enemy of Robert the Bruce and in 1306 John, the ‘Red Comyn’, was slain by Bruce ‘at the altar rails’ in Dumfries. Bruce destroyed the family completely by 1308. This left many families without protective association. Donald Dubh of Invernahaven, having married the daughter of the sixth chief of the MacKintoshes, took his family, the Clan Dhai, as the Davidsons were then known, into association with the MacKintoshes when William was their seventh chief. 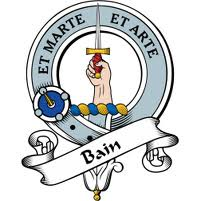 Dhai was the Gaelic name the family had inherited from their first leader David Dubh. The MacKintoshes were part of the Clan Chattan confederation and so too became the Davidsons. There were jealousies within the confederation because of favouritism shown to the MacKintoshes by the Captain of Clan Chattan and the Davidsons invariably found themselves called into fights by numerous peers. In the end the association the family entered, far from benefiting them, almost brought about their extinction. When several branches of Clan Chattan grouped to fight the Camerons in 1370, the MacPhersons, because of an on-going dispute with the Davidsons, withdrew from the fight while in sight of the enemy, and the Camerons defeated those who stayed. The Davidsons suffered badly in the battle. In 1396 the Davidsons and MacPhersons fought side by side at the clan battle on the North Inch of Perth. When the combat was over there were only eleven enemy alive and only one Davidson. The strongest lines of the family became the Davidsons of Tulloch, in Ross-shire, and the Davidsons of Cantray, in Inverness. Tulloch Castle was built in 1466 and a branch of this family can be found in France, where the Livre d’Or shows six generations of nobility before 1629. On 25th March 1909, with a view to the formation of a Clan Davidson Society, the Laird of Tulloch called a meeting of holders of the name at the Hotel Metropole in London. Some sixty members of the clan were present, when it was proposed, seconded, and carried that Davidson of Tulloch be recognised and acknowledged as chief of the clan. The act was questioned in a letter to the Northern Chronicle, in which the writer pointed out that, while for a long period of years writers on Highland history had all pointed to Tulloch as the chief, this must be taken as an error seeing that The Mackintosh was the only chief of Clan Chattan, In proof of this statement it was pointed out that in 1703 twenty persons named Dean alias Davidson had at Inverness signed a band of manrent declaring that they and their ancestors had been followers, dependents, and kinsmen to the lairds of Mackintosh, and were still in duty bound to own and maintain the claim, and to follow, assist, and defend the honourable person of Lachlan Mackintosh of that ilk as their true and lawful chieftain. A long correspondence followed pro and con, but it was pointed out by later writers that the acknowledgment of Mackintosh by twenty Davidsons as supreme head of the Clan Chattan confederacy did not prevent the Davidson sept from possessing and following a chief of their own. As a matter of fact, history shows them to have had a chief at the battle of Invernahavon, and by all the laws of Highland genealogy the clansmen were fully entitled to meet and confirm the claim of their present leader and head. Two other landed families of the name in the north are the Davidsons of Cantray and the Davidsons of Inchmarlo. The former are believed to have been settled on the lands of Cantray, an ancient property of the Dallases, for at least two hundred years. In 1767-8 the lands of Cantray and Croy were purchased by David Davidson, son of William Davidson and Agnes MacKercher, who afterwards added Clava to the estate. This laird married Mary, daughter of George Cuthbert of Castlehill, Sheriff-Substitute of Inverness, and is alluded to in the statistical account of 1842 as "a man of singular sagacity, of most active powers of mind, and practical good sense", and as "a liberal-minded and fatherly landlord". His son, another David, was knighted by King George III, and his grandson, Hugh Grogan, the fifth laird, was convener of the country of Inverness. His son, Hugh, the present laird, as an officer of the Seaforth Highlanders, served through the Afghan War of 1880, for which he holds a medal. Inchmarlo, again, was purchased in 1838 by Duncan Davidson, son of John Davidson of Tilliechetly and Desswood on Deeside. The present laird of Inchmarlo is his grandson, Duncan, while his youngest son's son is Francis Duncan Davidson, late captain in the Cameron Highlanders and now owner of Desswood. Another notable clansman was John Davidson, Regent of St.Leonard's College at St.Andrews in the days of Queen Mary, and afterwards the minister of Liberton near Edinburgh, who quarrelled with the Regent Morton, opposed the desire of James VI to restore prelacy, excommunicated Montgomerie, Bishop of Glasgow, at the desire of the General Assembly in 1582, and was author of Memorials of His Time. On 13 December 1545 at Dingwall, the Earl of Sutherland entered into a bond of manrent with John Mackenzie of Kintail for mutual defence against all enemies, reserving only their allegiance to the youthful Mary, Queen of Scots. At the Battle of Langside, in 1568, the Mackenzies fought on the side of Mary, Queen of Scots, against the forces of her half-brother James Stewart, Earl of Moray. Their chief, Kenneth Mackenzie, 10th of Kintail died soon afterwards. The Mackenzies were often at feud with the Munros, and Andrew Munro of Milntown defended and held, for three years, the Castle Chanonry of Ross, which he had received from the Regent Moray who died in 1569, against the Clan Mackenzie, at the expense of many lives on both sides. The feud was settled when the castle was handed over to the Mackenzies peacefully after the Mackenzies had improved their legal claim to the castle. The small-scale Battle of Logiebride in 1597 involved a fight at a fair in Logiebride between clansmen from the Bain family of Tulloch Castle and Clan Munro against the Mackenzies. THE EDINBURGH GAZETTE, APRIL 3, 1874. 19th day of March 1874. THE EDINBURGH GAZETTE, FEBRUARY 18, 1879. THE EDINBURGH GAZETTE, DECEMBER 2, 1879.
in the County of Ross, with debts and encumbrances. Petition was of this date ordered to be made. 1. Copy of Authentic Copyhold document with wax seals in Leather bound folder. 2. 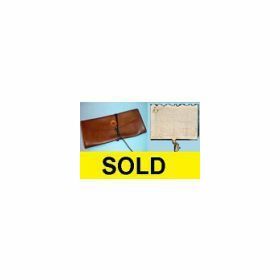 Legal Transfer Deed in compliance with Manorial / Feudal Law and the Law of Property Act 1925. Today, Noble Titles is offering the historic Scottish Barony of Tulloch for sale, with offers invited at over GBP £172,500+ (approx USD $262,200+). For the successful buyer, the title includes: the right to register a coat of arms at Lord Lyon, hunting and fishing rights once held by Clan Davidson and Clan Bain, and one acre of land. 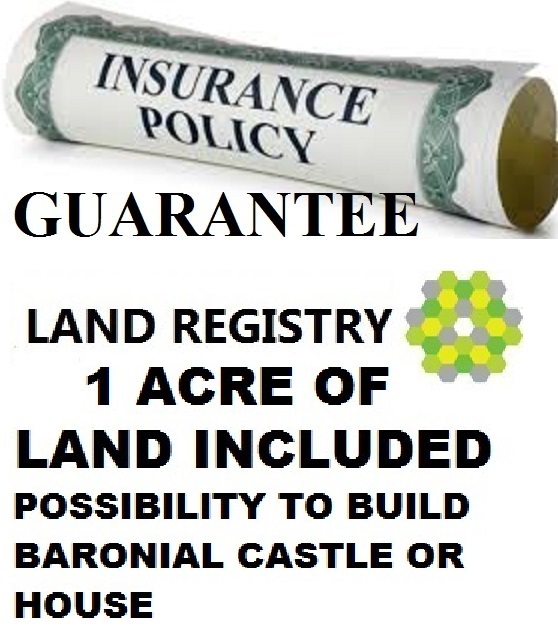 The land was previously built on, as the deeds show, so it’s assumed possible to build a new house, with planning consent ... or perhaps even a new castle. The purchaser will receive: a copy of the authentic copyhold document with wax seals in a leather-bound folder; a legal transfer deed in compliance with manorial / feudal law and the Law of Property Act 1925; an official letter required to apply the title to passport, driving license, cheque book and credit/debit cards; a Barony certificate, insurance / guarantee; legal right to use the title 'Baron and Baroness of Tulloch'. Tulloch Castle, which stands on the south side of Tulloch Hill, overlooking the Cromarty Firth, has been built and rebuilt over the years and was last rebuilt in the mid 19th century following a fire. Although lived in by clan Davidson until the 20th century, it is now separate to the land and Barony of Tulloch and is run as a hotel.